Cool winds in northern Pakistan! Western disturbance 05 and 06! Disturbed weather in the Arabian sea! After three days, the month of November will start across the world. November is known in Pakistan for being an unsettled month interms of weather as temperature across the northern parts of the country start to drop further while the cold waves also start to affect the central and southern parts of the country with weak intensity. Most rainfall that occurs in November in the country is due to western disturbance that cause moderate rainfall, hailstorms and strong winds mainly in the northern parts of the country. Punjab and Khyber experience foggy conditions in month. The southern parts of Pakistan have dry weather in November with misty mornings. *Western disturbance 05 will continue to affect the extreme northern parts of Pakistan till October 31. *Fresh western disturbance 06 might affect the upper parts of Pakistan including Islamabad and Peshawar during the end of the first week of November. *Post-monsoonal tropical depression is in formation that might cause rainfall along the Pakistani coastline during the first week of November; mainly from November 2. The westerly wave will contine to affect the extreme upper parts of Pakistan till 2 to 3 days after that it will move into India. The strength of WD 05 is weak, it might cause isolated showers in northern Khyber and Gilgit till October 30/31. However due to it’s presence the temperatures will further drop in these areas and adjoining areas. Western Disturbance 06 – Its Path? The fresh westerly wave might also affect the upper parts of the country but it will be slightly south-wards therefore north-western Punjab, Khyber and Kashmir will get rainfall due to this system. WD 06 will mostly affect from November 3 night/November 4, due to this wave the weather will get colder. After WD 06, there is no western system in sight. Tropical Storm 02A in development! Depression 02A: Oman the likely target? Not one but two low pressure in Arabian sea!! The low pressure is expected to attain a deep depression status on the Indian Meteorological Department (IMD) Scale. While it may attain “tropical storm 02A” status on SSHS scale. On October 28, the low pressure further intensified as the pressure dropped from 1010 mbar to 1005 mbar. The strong low pressure is seen persisting in the central parts of Arabian sea. On October 29, the low pressure showed more signs of intensification as spiral bands developed around the low pressure system as the system continued to move towards Oman in a NW direction. The same day, the low pressure intensified into a well-marked low pressure and during the same afternoon, the well-marked low pressure intensified into a depression “ARB 02”. The storm might deepen further as pressure dropped to 1004 mbar. As forecasted eariler, the weather system will move towards Oman and adjoining Yemen and weaken gradually due to cold waters. The storm teared into two parts on October 30 morning but later during the day it again started combining. Due to this weather system, showers could extend to coastal parts of Balochistan including Gwadar and some parts of coastal Sindh including Karachi, due to which rainfall/showers may occur from November 2 till 4 morning. Number of International models hint about a fresh low pressure forming near the Kerala coast of India during the first week of November and that will move towards central Arabian sea and after that it will change its course. It may intensify further during its lifetime in the central Arabian sea. However it is too early to look into this expected system. 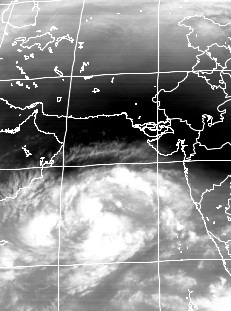 ← Is Arabian sea getting ready to give birth to “Tropical storm 2A”? Dear Is there chance cyclone recurve to pakistan costs? It not a cyclone.. its depression..it will weaken by the time it reach Makran coast..
any chance of heavy rain in karachi . There are chances but these chances are higher along Makran coast..
this system is not major effect in karachi cost. No MAJOR affect likely along the SIndh coast..
no chance of rainfall in upper Sindh including Sukkur as per latest forecast..
@K.M, According to you Balochistan coastal areas will get heavy rains but karachi will not get meaningful rains…………. Sometimes heavy rainfall could also not be meaningful rain…. all Pak coast is expected to get heavy rainfall but the intensity would be high in Makran coast than SIndh coast..
Salam Babar Bhai.kya Mirpurkhas m is week koi heavy rain ho sakti hai? asalam u alakum everybody, babar bhai kya karachi mai rain hosakti hai is week? They will decrease… from 35C to 32 – 28 day temp..
babar bhai.another fresh low pressure in arabian sea? Babar bhai eid k 3no din Mirpurkhas city ka weather kexa rahy ga? Likely to be mostly dry..
babar bhai, 2nd fresh low pressure it will be singn of cyclone. A little early about its forecast of intensification into cyclone at least..